As the Red Onion Press celebrates it’s first anniversary of the opening of the shop in Kennesaw, it also marks the beginning of it’s antique restoration services. Over the last year, we have worked on several floor model Chandler and Price printing presses, an antique freight scale and a number of desktop letterpresses that were donated to Kennesaw State University. 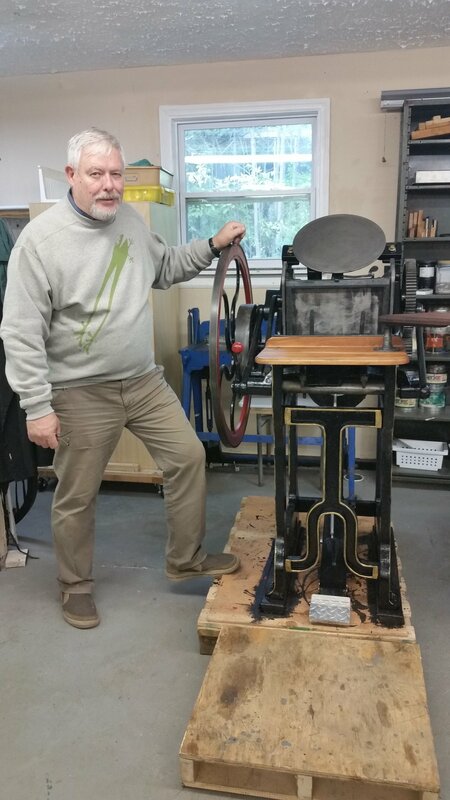 This month, we completed the restoration of a unique press. This rare Lightening Jobber was one of only 12 or 13 models built by John H. Jones of Palmyra New York between 1896 and 1903. very few of these presses are still around today. This platen press is a good bit lighter than the similar size Chandler and Price platen presses we have on the floor. The reconditioned press is complete and available for sale. Contact the Red Onion Press for information.